A self-guided bicycling tour bringing you in 5 exhilarating cycling days all the way from Dublin in the East to Galway in the West of Ireland. We are starting our self-guided bike tour on the East Coast in Dublin, the capital city of Ireland. Its vibrancy, nightlife and tourist attractions are renowned. 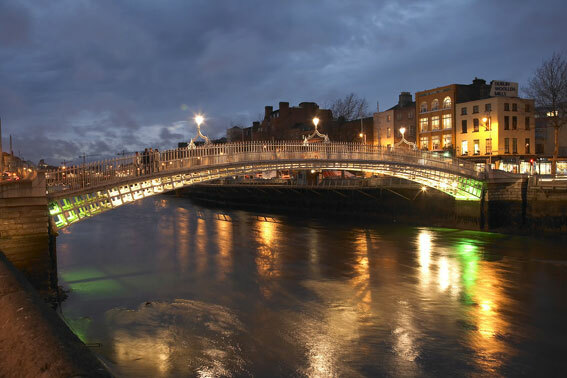 Even though it is by far the biggest city in Ireland, its center is, however, relatively small and can be navigated by foot, with the attractions being in close proximity to each other. You are the cycling through Ireland’s Ancient East. 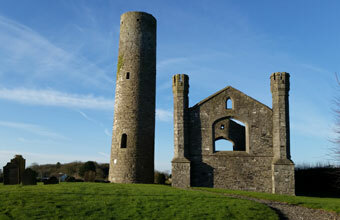 Located in the ‘heart’ of Ireland, the Midland Region encompasses the counties of Laois, Offaly, Longford and Westmeath. 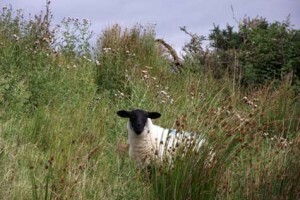 The landscape of the Midland Region is diverse, dominated by the River Shannon and its callows along the western boundary, interspersed with lakes, wetlands, bogs, agricultural lands and eskers throughout the central area, the upland area of Slieve Bloom Mountains to the south and the rolling landscape of the Barrow and Nore valley to the south east. 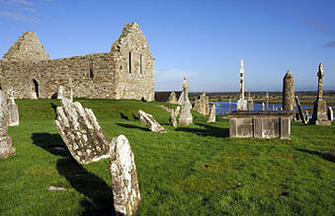 This is an ancient landscape with plenty of attractions along the quiet back-roads. 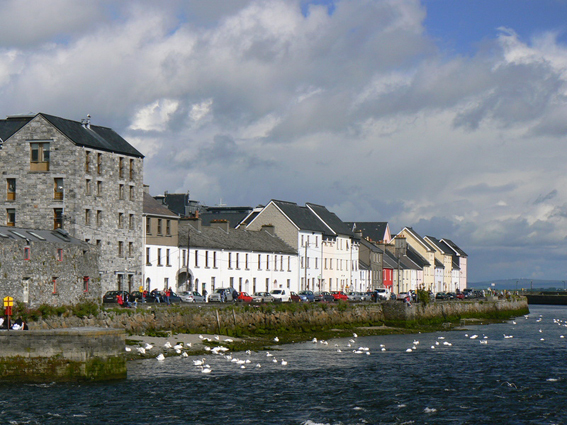 Our self-guided cycling tour finishes in Galway. Frequently called Ireland’s most Irish city, this coastal metropolis is a place where Celtic culture and literature have long thrived, often in the traditional Gaelic language. 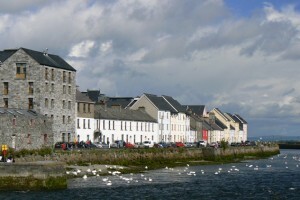 Galway won the acclaim to be the European Capital of Culture in 2020. 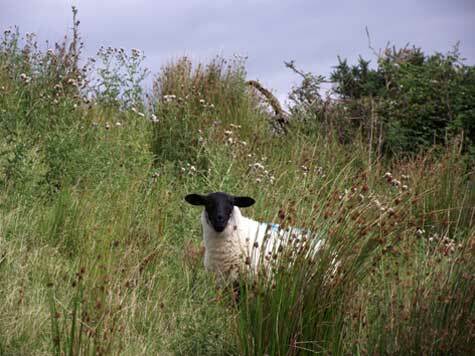 That’s Galway – different, special and never, ever predictable. 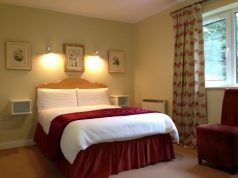 Arrive in Dublin, you will be accommodated in a guesthouse located in one of the Western suburbs but within easy reach of the City Centre. Depending on time we will meet you with your bikes and roue pack and fit he bike to you and talk you through the week ahead. 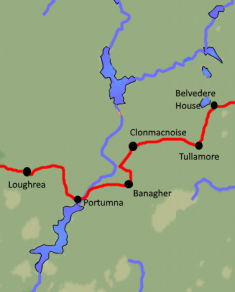 And the bicycles will take you further west to today’s target the town of Loughrea, located on Lough Riach. The Cathedral is where one can see Irish Craftsmanship and Art at its highest level – it is a treasure house of arts and crafts of a Celtic revival. 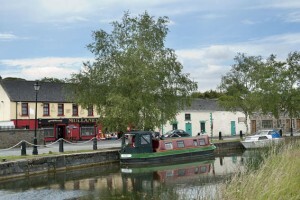 Along the way you may have lunch in Portumna, one of East Galway’s prettiest towns. Portumna Castle & Gardens and the Dominican Friary are worth a visit within the town. Breakfast, followed by farewell and departure for your onward journey. There are direct buses back to Dublin from Galway, or there are also trains to Dublin. This self-guided cycling vacation is using comfortable, homely B&B and guesthouse accommodations along its route. At the end of each cycling day you will arrive to a warm welcome, a hot shower, and a comfortable room with all the mod cons to revive you before you head out to enjoy a sumptuous dinner. If you prefer you can opt to upgrade to 4* hotel accommodations that offer spa facilities and you can book massages and enjoy sauna and whirlpools, or a relaxing swim. Sea Dew is a purpose built, four star, Bord Failte approved Guest House, providing guests with a high standard of comfort, located only 5 minutes walk from Tullamore town center. Complimentary WiFi. 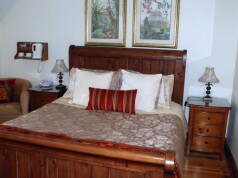 An elegantly restored 1920’s family run luxury guesthouse, in a peaceful and tranquil setting. Very proud of using only the finest local produce in the sumptuous breakfasts they supply.